Squeaky stairs are a result of loose boards rubbing together when they are stepped on. The best way to remove squeaks in your stairs is to lightly tap, glue coated, shims between the squeaky treads, risers, and stringers. It is best to do this from under the stairs. Look for access to your stairs either in the basement or in closets built under the stairs. While under the stirs have someone walk up and down the stairs to identify where the stair boards have become loose over time.Use small, thin wedges so you don’t create visible gaps in the stairs. The smaller and thinner the better. Once under the stairs if you feel a shim is not going to work you can screw wood blocks to the stair stringers and then screw the blocks to the stair treads and risers. If you can’t get behind the stairs work from the top and carefully trim the shims with a utility knife. 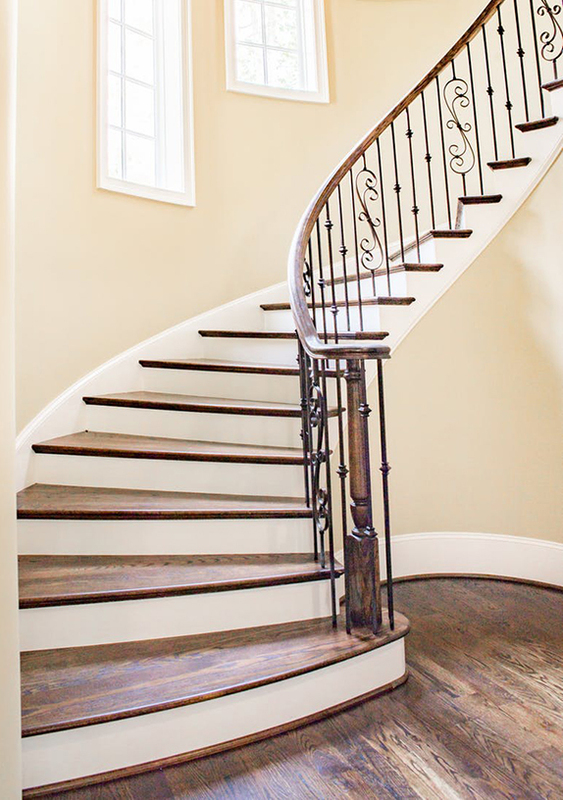 If needed paint or stain the shims to match your stairs. If the exact colors are not available remember lighter color patches are less noticeable than darker colors. The squeaky faucet is caused by the rubbing of metal on metal under the faucet handle. The squeaking sound is caused from the handle rotating on the faucet stem. Lubricating the stem will eliminate this noise. Here is how to lubricate the faucet stem. You first have to remove the cap top that says hot or cold. The cap either screws or pops off. First try to unscrew the cap, counterclockwise – “lefty loosy, righty tighty,”. if it does not unscrew use a screw driver to pry it off. Slip the screw driver under the edge of the cap an pry it off. Be careful not to scratch the cap. And make sure your sink drain is closed to avoid the dropping the cap down the drain. Next remove the screw in the center of the knob. Turn it counterclockwise. Be careful not to strip the screw. It is likely “froze.” Before “forcing it” and stripping the screw use liquid wrench to help loosen the screw. If the screw strips you will need to use locking pliers or a screw extractor to remove the damaged screw. Caution here will save you a lot of future troubles. With the screw removed most faucet knobs are removed by pulling straight up. Wipe the inside of the faucet handle and the top of the faucet stem with a clean dry rag. Place an even coat of plumbers grease on the exposed faucet stem and some on the inside of the faucet handle. Small tubes of plumbers grease are available at your local hardware store. Replace the faucet handle on the faucet stem and replace the screw tightening it clockwise. Center the faucet caps and either snap or screw them back into place. A squeaky ceiling fan is usually a result of a loose part, the fan being out of balance, or a more serious problem with the fan motor. First shut off the ceiling fan and allow the blades to come to rest. If possible shut off the power to the fan. You don’t want someone accidentally turning the fan on while you are working on it. Remember safety first. Lightly grab each blade and wiggle them to see if they are tight or have loosened up. Retighten, by turning clockwise, all of the blade mounting screws. Next check the tops of the blades for excess dust accumulation. Surprisingly just a little extra weight can affect the balance of the fan causing the bearings in the fan motor to squeak. If the fan has a light kit make sure the light bulbs are screwed, clockwise, in tightly. Loose light bulbs can cause a rattle. While you are up on the ladder now might be a good time to replace the light bulbs with new ones. Use the existing bulbs in a table or floor lamp. If your fan has a light globe check to make sure that the mounting screws are tight. Be careful not to over tighten the screws and crack the globe. These screws should work hand tight. You can apply a thread lock material to all of the screws in your ceiling fan fixture to prevent the screws form loosening up in the future. Some fans have a rubber gasket between the globe and the metal base to serve as a noise reduction measure. If the gasket appears damaged you can replace it by applying a liquid gasket material. This is a good place to stop and check to see if you fixed the squeak. Make sure you have not left any tools up on the fan and that any ladders are clear of the fan blades. Remember to turn the power back on if you shut it off. If these steps did not fix the squeak either your fan blades are out of balance or there is a more serious problem with your fan motor. You can purchase a fan balancing kit at most hardware stores and home centers. These kits contain weighted self adhesive material similar to tape that you can attach to the top of the fan blades. The directions will guide you through the process of balancing the fan blades. If the fan still squeaks after balancing the fan blades it is possible the bearings in the fan motor are wearing out. As most motors now have sealed bearings it is not possible for the homeowner to lubricate the motor bearings. Depending on the fan it could be time to replace it or to seek professional help to determine whether the fan can be salvaged. Squeaky draws are a result of either wood rubbing together or nylon wheels rubbing on metal draw slides.First remove the items for the squeaky draw and remove the draw from the chest. If it is a wood draw rub wax on the sides of the wood draw where they slide into the chest. Bees wax works best but paraffin wax or an old candle will work as well. Next rub the wax on the inside parts of the chest that support the drawers. You cannot use to much wax but brush any small pieces or chunks of wax so they do not fall onto your belongings after you put them back into the drawers. Insert the wooden draw back into the chest. Open and close the drawer a few times until the squeak is gone. If the squeak is not gone the first time repeat the process until it is. For drawers with nylon wheels and metal glides apply a quality grade liquid or spray lubricant. to both the nylon wheels and metal glides. Liquid or spray Teflon is the best. Make sure you protect your belonging before applying any lubricant. Make sure you remove the drawers below the one you are working on. You don’t want the lubricant to drip and stain anything. Wipe any excess lubricant and replace the drawers. Slide the drawers in and out to ensure the squeak is gone. If not repeat the process until you have removed the squeak. Squeaky beds, aside from mattresses and box springs, are a result of wood rubbing on wood or metal rubbing on metal. To fix your squeaky bed you need have full access to your bed frame. So first remove your mattress and box spring. Then inspect your bed frame. Check to make sure all of the screws and bolts are tight. Tighten any loose ones. If you want you can reassemble your bed frame using plastic washers or lock nuts to help prevent bolts form loosening in the future. If you find any wood pieces that are rubbing together rub the surfaces with wax. Bees wax, works best, but paraffin wax, or an old candle will work as well. Apply a good quality liquid or spray lubricant to any metal parts that rub together. Liquid or spray Teflon is the best. You can tap small glue covered wood shims into any spaces where the wood may have shrunk over time creating a loose joint. After checking your frame check any mounting hardware used to attach any head boards or foot boards. Screws that have become loose over time should be retightened. Screw holes that are now too big can be repaired with a liquid “screw tightener” or simple wood epoxy. While you have everything apart check the bed legs and make sure the squeak is not coming from the floor. Either the legs rubbing on the floor or a squeaky floor. Place felt pads or rubber coasters between the bed legs and the floor. 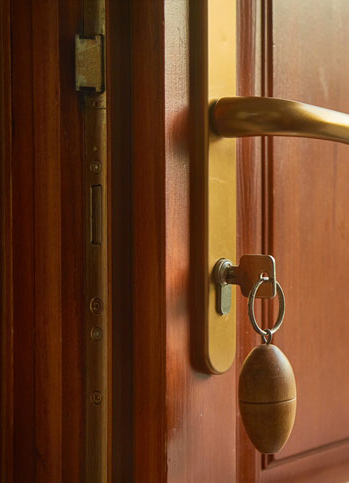 Squeaky hinges are most often a result of the metal parts of the hinge rubbing against each other or possibly a loose hinge.Start by making sure all of the screws used to attach the hinge to the door and door frame are tight. Before applying pressure and tightening the screws make sure you have the right size screwdriver to avoid stripping the screws. Newer hinges will use No. 2 phillips screws while older hinges will have straight headed screws.After confirming the hinges are tight the easiest fix is to apply a good quality lubricant to the door hinges. A spray lubricant will probably be the easiest and best. But remember to have a rag or paper towels ready to wipe up the over spray. If you are concerned about over spray a liquid lubricant can be used. Spray or liquid Teflon is best. Open and close the door several times to give the lubricant a chance to work into the hinge. Reapply the lubricant if needed. If the squeak persists remove the hinge pins from the hinges and clean and lubricate the pins. It will be easiest to do this one hinge at a time. Use a small pointed tool, such as a screwdriver or awl, and a hammer to tap the hinge pin loose. Be careful not to damage the door or bang your knuckles. After you remove the pin sand it lightly with either a fine grade sandpaper or steel wool to remove any rust or built up grime. After wiping down the pin apply a coat of lubricant. You can use the lubricant mentioned above or wax. With the hinge pin removed clean the hinge with a rag and apply the lubricant. Replace the clean lubricated pin into the hinge. It may be necessary to slightly tap the pin back into place with a hammer. Again be careful not to damage your door or trim. Open and close the door several times to work the lubricant into the hinge. If after tightening all of the screws and lubricating the hinge the squeak persists it may be time to replace the hinge.